This past Sunday was a special day in the life of Boones Creek Bible Church as we celebrated 60 years of ministry in the Tri-Cities, Tennessee area. Our theme for the day was “Continuing to build on Christ alone” which is taken from the church verse, Ephesians 2:20, And are built upon the foundation of the apostles and prophets, Jesus Christ Himself being the chief corner stone. The word that stands out to me in this theme and sets the stage for future ministry is continue. 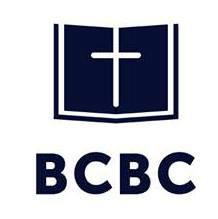 For BCBC to be where it is today, many have had to continue to believe God, continue to share the gospel and disciple, continue to stand for the Truth, continue in the midst of uncertainty, continue to remain faithful, continue to teach, continue to serve, continue to pray, continue to stay in the fold, and continue to give. In 60 years, sadly, many quit and/or many moved on to other churches in the area. As the charter members stood to their feet this past Sunday, I couldn’t help but think of all they have seen, heard, and experienced at BCBC in their 60 years. Think about it; they have been members of this church for 60 years!! They continued!! One couple, who remain faithful in their attendance to this day, will celebrate 71 years of marriage on Thursday. Think about that; In the same church for 60 years; married for 71 years! Wow! They have continued!! May the Lord give us a host of believers who will continue and not quit. God’s grace will enable you to overcome anything, and He gives you the Guidebook on how to biblically handle the issues of your own life as well as church life. God’s grace will give you courage in the midst of fear, power in your weakest moments, and wisdom in your times of questions and misunderstandings. You can continue. May this be said of us: They continue this day according to thine ordinances: for all are thy servants (Psalm 119:91).